,Jérôme Fourquet just revealed in his new study anticipated last week by the weekly Le Point. 20% of newborns in France are Islamic. In 1968 they were 2.5 percent. “The phenomenon of de-Christianisation is very advanced”, Fourquet says. “The Catholic religion, which has deeply structured the collective unconscious and society for hundreds of years, is the shadow of what it was. A great change of civilization is under way”. As always, Vlad Tepes has the best cover. 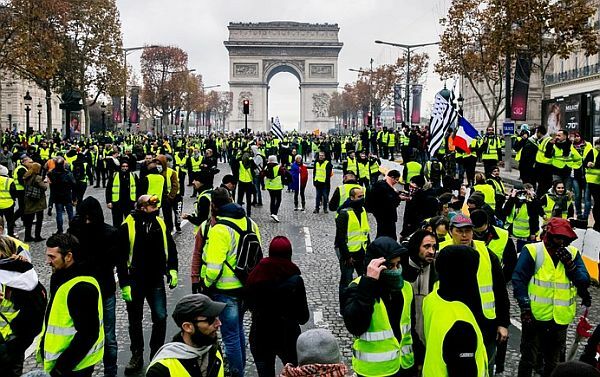 Hundreds of protesters from France’s yellow vest movement marched Saturday for a 17th straight weekend in Paris and other cities to maintain pressure on the government to reverse policies they see as favoring the rich. These are the last years before everybody will see it with greater clarity. And this change of civilization doesn’t only take the form of de-Christianization, but also Jüdenrein, the country free of Jews. The French Jewish conservative Eric Zemmour just dared to say on TV that “there are no more Jewish children in public schools in Seine-Saint-Denis”. The left-wing debunkers tried to bark him out. Result? They found “four or five children”. 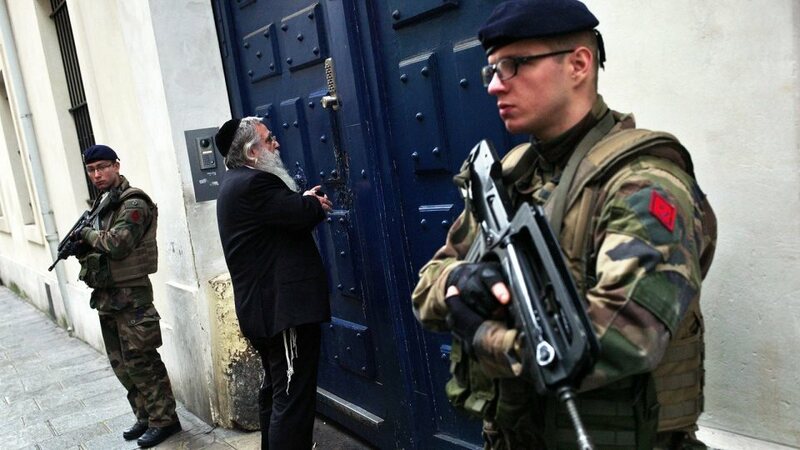 The Chief Rabbi of France, Haim Korsia, had already said: “There is practically no Jewish child in the public schools of Seine-Saint-Denis”. In these years, while France was weaving the praises of immigration and was chanting slogans like “living together”, a vast Jewish emigration was going on from an entire French region. But woe to you if you say it. They call you racist. Last week, in a letter to the Jewish school Yaguel Yaacov of Montrouge, someone wrote that “the Arab countries would live in peace if Hitler had finished exterminating all the Jews”. On the wall of a synagogue in Val-de-Marne, south-east of Paris, the words “death to the Jews” appeared. Anti-Semitism is the disease that appears in a society at twilight. The Arab-Islamic world has not recovered since it drove out its Jews after 1948. Is an Islamicised France going to meet the same destiny? At last the Frogocrites have taken paranoid masochism to the next and final level of self-hatred and victimology: suicide! Too bad it’s a global impulse, though (Canada is following it’s own usual Froggy pied piper, Turdeau, down the same sad path)!